The anterior cruciate ligament (ACL) is a frequently injured structure, the estimated incidence of which is 0.81 injuries per 1000 per year. The injury frequently occurs in the sportsman or woman, often as a result of a non-contact twisting action to the knee. Surgery involves using a graft to reconstruct the damaged ligament. James and Rik use the hamstring graft from the patient as a first choice, but other frequently used grafts can be taken from the patient’s patella tendon or the quadriceps tendon. Manufactured synthetic grafts can also be used. The procedure of ACL reconstruction is very dependent on the technical ability of the surgeon and the commitment of the individual to the rehabilitation of the knee after the surgery. The success of primary ACL reconstruction with present techniques is estimated to be between 75 and 93%. Patients usually complain of a sensation of instability in the knee or of not being able to trust it, particularly when turning or twisting although they are often quite OK to run in straight lines. The level of symptoms can vary significantly from patient to patient: some people find that they can do pretty much what they want to do despite their inury whereas others are severely compromised by the knee being so unstable. Often the knee can become very sore, particularly after activity. The operation is usually carried out under general anaesthetic (with you asleep). It takes around 90 minutes to do. The knee is examined whilst you are asleep. A key-hole assessment of the knee is often carried out next to assess the ACL and other structures (such as the meniscal cartilages and articular cartilage). Injuries to these areas can be treated at that time. Next, the graft is acquired and prepared – for James, this is done through a small incision over the inner side of the knee to acquire the hamstring tendons, as seen on the picture (left). Other grafts can be used and the decision as to which graft is best for your situation is a matter for you and your surgeon to discuss. The graft is then fixed in position. A number of different methods can be used to do this. James usually uses a “button” that is pulled up against the outer part of the femur bone and a screw inserted to the tibial bone. This is a post-operative radiograph that shows these devices in place. The knee is washed out and the incisions closed with stitches. The knee might not have sufficient stability to allow the patient to return to sport/full normal activity. The knee might still be painful. 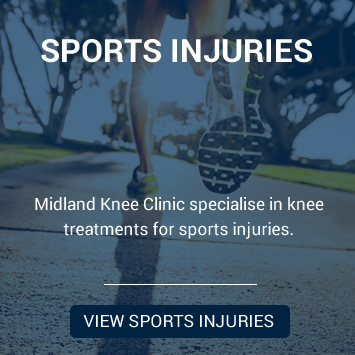 Pain at the front of the knee is known to be more common if the patella tendon is used as the graft, although the pain does seem to settle down with time. Stiffness, particularly restriction of full extension of the knee. Deep venous thrombosis (clot in the deep veins of the leg). Excessive bleeding into the joint. 1: (weeks 0-2) – Gain full movement and allow the swelling to settle. 2: (weeks 3-6) – Improve joint position sense (proprioception) and start muscle work with physiotherapy guidance. If the hamstring was used as a graft do not do resisted hamstring training until 6 weeks post-op. 4: (weeks 17-26) – pivoting, cutting training can normally be introduced. The movement in the knee is reduced. The endurance or power of the muscles around the knee is reduced (i.e the knee should have the same musculature as the uninjured side). There is still some swelling in the knee. Your physiotherapist or surgeon tell you not to.